Penguin Basements | Millennials in the GTHA: A Generation Stuck in Apartments? 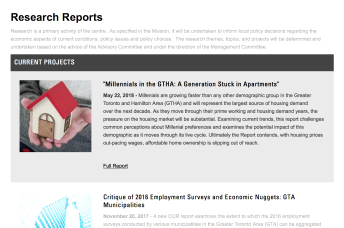 22 May Millennials in the GTHA: A Generation Stuck in Apartments? A new report released Tuesday May 22, 2018 by Ryerson University’s Centre for Urban Research and Land Development Titled: “Millennials in the GTHA: A Generation Stuck in Apartments” finds that millennials are not that different from their parents when it comes to their dreams of owning a home. What is different is their ability to afford a home. The report contends that with housing prices out-pacing wages, affordable home ownership is slipping out of reach with each passing year. The report also finds millennials in the Greater Toronto and Hamilton Area are on track to follow in their parents’ footsteps and become homeowners, but they’ll face steep prices and a potential housing shortage, and likely enter the market later than their parents did. The current rate of home ownership among millennials is 40 per cent, and that is expected to grow to 60 per cent by 2026, according to the report. A total of 500,000 new millennial households will be formed over the next decade, the report says, and of that number, 350,000 are expected to become homeowners. The report also states that the differences between millennials and past generations tend to be most pronounced while millennials are in their 20s. And while both groups were excited about living downtown, “where the action is” the average millennial is still in school, living with their parents and not making much money. So the dream of home ownership is something they see in distant future. As millennials age into their early 30s, the report predicts they will start to catch up on many of the family goals they’ve been putting off. When it comes to their living situation, millennials tend to aspire to home ownership rather than renting, and they prefer buying “ground-related homes” — single homes, semi-detached homes or townhomes — rather than living in high-rise units, although many will find themselves trapped in apartments or living with their parents if they don’t start putting a plan of action in place soon. Millennials want and desire low-density housing much more than high-rise apartments, and unless there is a marked increase in the number of units built, prices will continue to escalate keeping those kinds of home tantalizingly out of reach, or worse forcing millennials to take on record debt. Since the report predicts a reversal of the recent trend of millennials moving downtown and living in condos, toward a move to the suburbs, we think it’s the perfect time to educate millennials about “The Second Suite Solution”, especially as Ontario’s growth plan for the region places much more emphasis on building high-rise apartment buildings than it does on low-density housing. As a result, millennials can expect to take on heavy debt to help pay for their homes. Or with the help of their families they can buy now, create and live in a basement second suite and rent out the top floor allowing them to start building equity now. A rental unit in the home can help them qualify for a better mortgage than they might be able to otherwise, and the income generated by renting out the main floor can help them pay down the mortgage faster. Timed correctly, the millennial homeowner can move into the upstairs unit in their 30’s and continue to rent the basement apartment increasing their home equity position at a time many other millennial will only just start home shopping. Furthermore, they can use this plan and their now established credit to buy a second home for rental use, taking advantage of the upcoming housing shortage by being a provider of affordable housing themselves. When it come to building a property ladder, the key to success is entering the market as soon as possible. In spite of market corrections, and spike and dips in home prices, property remains one of the most effective long-term investments.